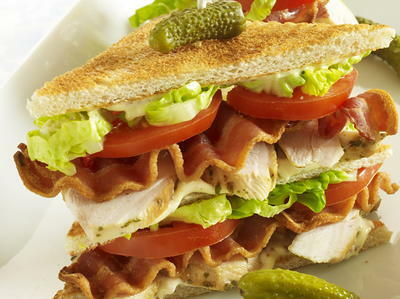 There are few pleasures in life that add up to the greatness of a good sandwich. Good sandwiches, after all, make the world go round. They are what bring us together, well, at least according to “30 Rock’s” Liz Lemon but I totally agree. Yes, Liz Lemon… yes. So why not turn your ordinary ham and cheese into something spectacular? Cut your sandwich diagonally instead of down the middle because science. 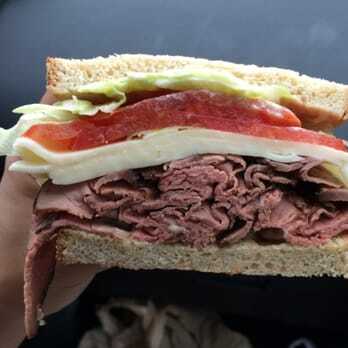 A study by the Department of Culinary Science at The University of Vermont found that people enjoy the taste of their sandwiches more when sandwiches are cut this way since you get more surface area for bites. 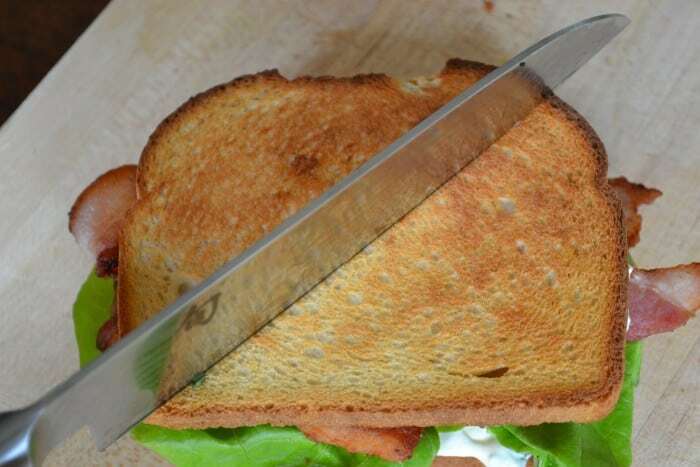 Yes, someone actually conducted a study on how to best slice a sandwich… thank you science. There’s nothing more annoying than having your tomatoes and pickles slide out of your sandwich mid-bite. Separate your slippery condiments like tomatoes and pickles by placing lettuce in between them. It creates friction that will help them to stay in place. Bacon works the same way for keeping condiments in place. You season your veggies when you eat them as a side so why not do the same when they’re on your sandwich. Pat your lettuce and tomato dry and season well with salt and pepper. You can even throw some garlic salt, lemon pepper, or paprika up in there if the mood strikes you. Your taste buds will thank you. 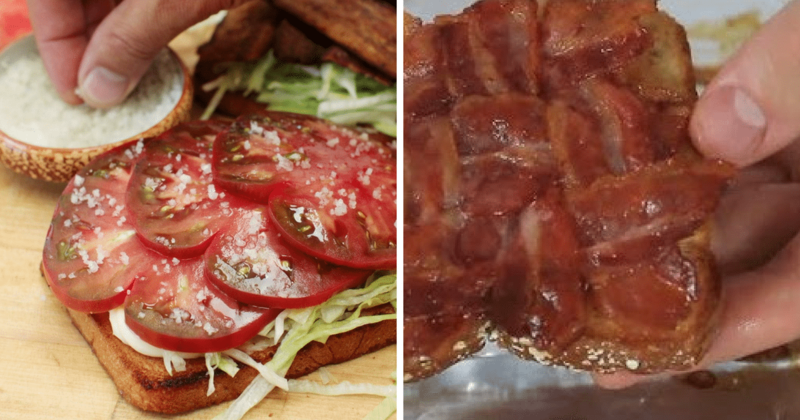 Blanket your bacon so that it covers every inch of your sandwich and you get a mouthful with every bite. The best way to do this is to weave your bacon. 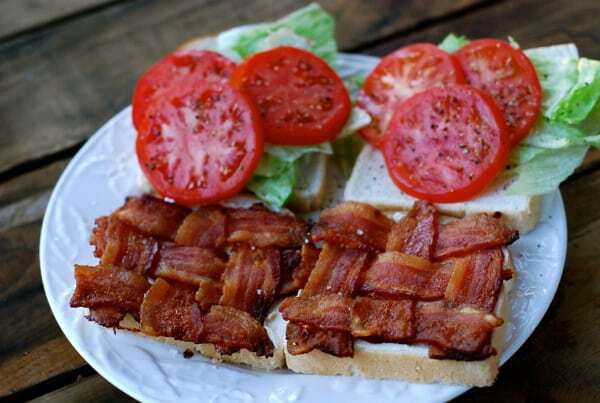 You can even use your bacon weave in place of bread. Texture plays a big part in taste. 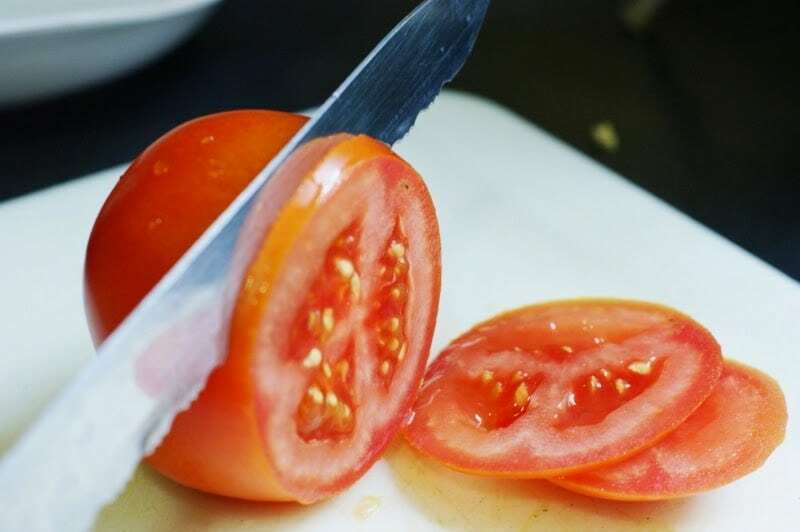 So, you’ll want to use your sharpest knife when making sandwiches and slicing tomatoes. 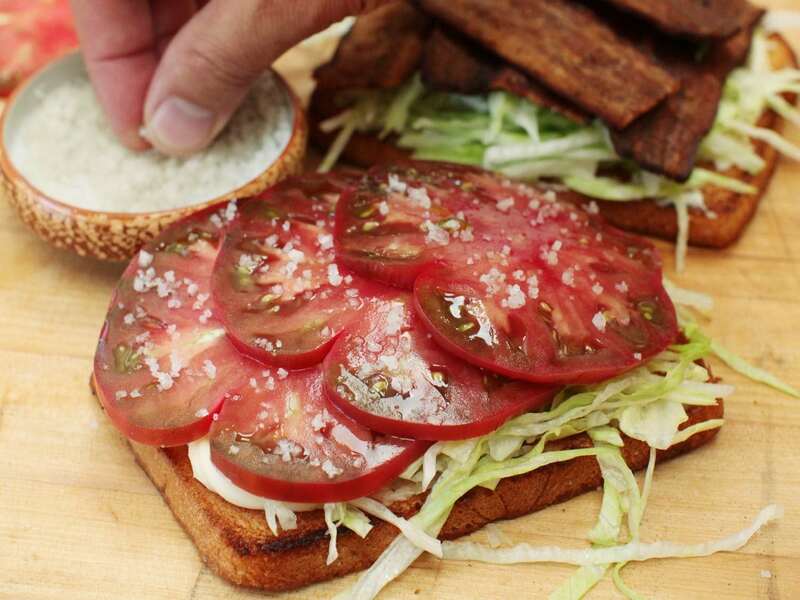 This will help you avoid squished and soggy tomatoes in your sandwich. Sometimes sandwiches are best when they are toasty warm with the cheese all melty. 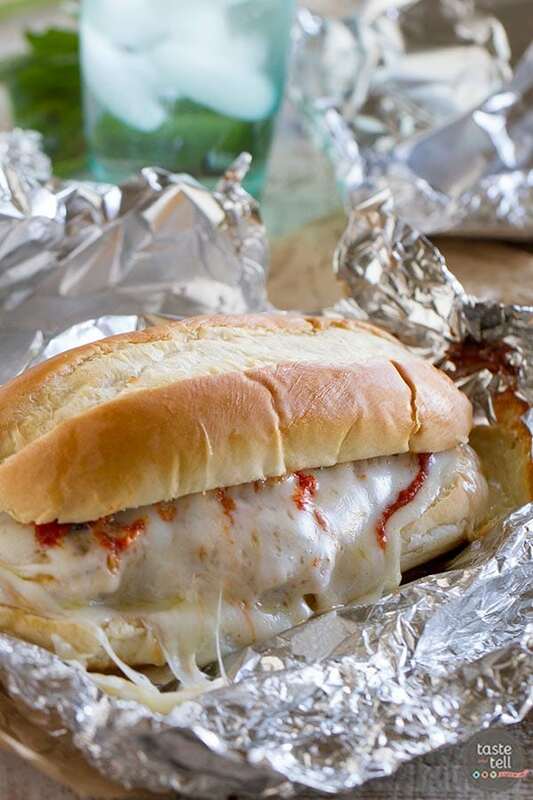 Wrap it up in foil and toss it in the oven. It should come out perfect in 10 to 15 minutes. If you want the appearance of a meatier sandwich without actually using more meat, crumple up your meat. Instead of letting it lie flat, scrunch it up or fold it slightly. It will look bigger and will be more flavorful since you’re more likely to taste the meat because of the increased surface area. This hack works especially well for packed lunches! 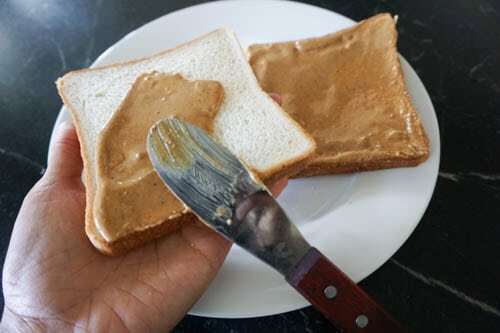 Spread a thin layer of peanut butter on the side you’re going to put jelly on. So basically sandwich your jelly between a thin and thicker layer of peanut butter. This will prevent your jelly from bleeding through your bread and making your sandwich soggy. If you don’t want a bulky sandwich and aren’t going to crumple your meat, you should cut it right so that it covers up all of your bread. Slice your round pieces of meat in half and place them facing away from each other with the rounded parts on the inside of your sandwich. Repeat on the opposite end. This will ensure that every bite has meat on it. Get the details below. 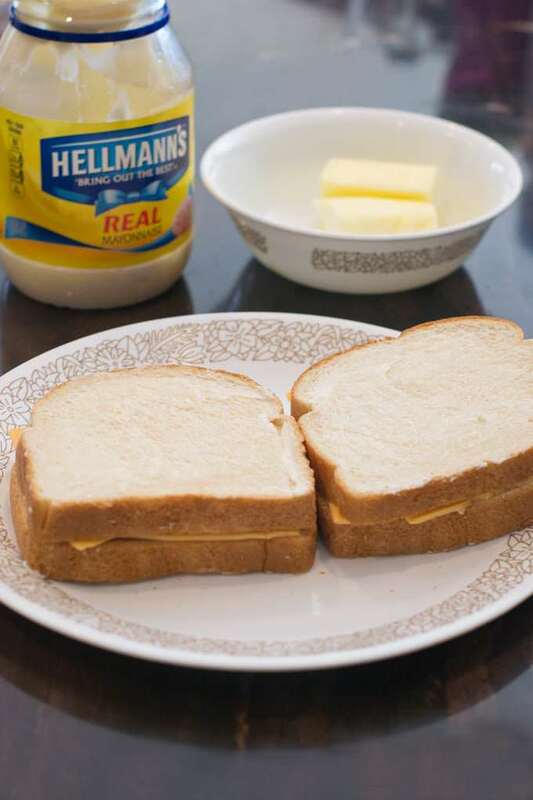 Use mayonnaise instead of butter when searing your grilled sandwiches. It’s easier to spread on your bread and gives is a flavorful taste. It may also have fewer calories if that’s something you care about when eating sandwiches.